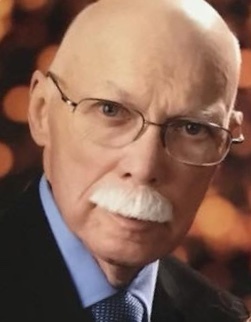 Jerry A. Bevis passed away on Sunday, April 14, 2019 at the age of 78. Mr. Bevis retired after 30 years of service with BNSF Railroad. He was a member of Alden Baptist Church. Mr. Bevis is survived by his daughters, Wendy (Randy) Church, Trudy (Michael) Shirey and Haley (Josh) Gumm; brother, Larry (Mary) Bevis and a grandson, Cameron (Allison) Shirey. A Celebration of Life will be on Wednesday, April 17, 2019 at 2:00 pm at the chapel of Crestview Memorial Funeral Home with Bro. Lee Eby officiating. A time of visitation will be from 12:00 pm until 2:00 pm at the funeral home. Burial will be at Crestview Memorial Gardens.